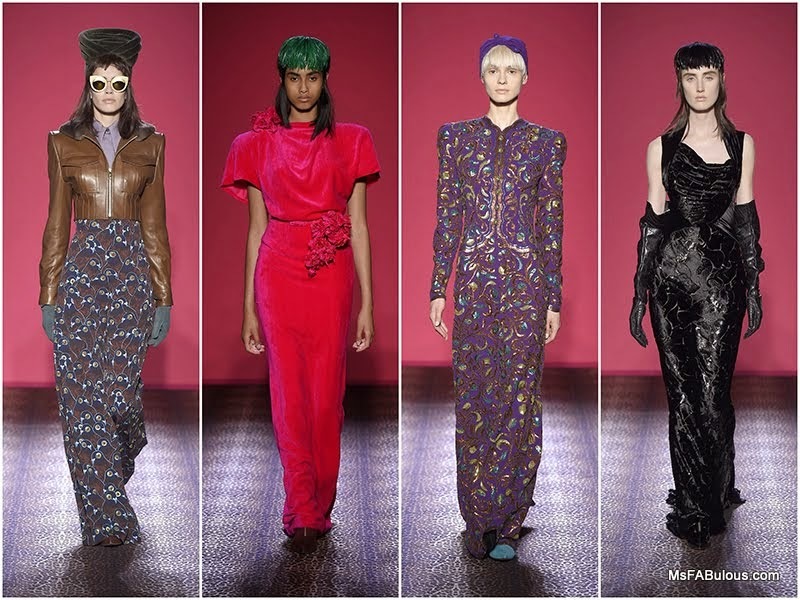 Welcome the return of the "Italian", Schiaparelli Haute Couture. The whimsical atelier made its return to the Haute Couture shows after a 60 year hiatus (not counting collaborations with Lacroix and others). Designer Marco Zanini was tasked with updating the collection for modern times. The label’s signature “shocking pink” was incorporated into a long gown or floor length swing coat. 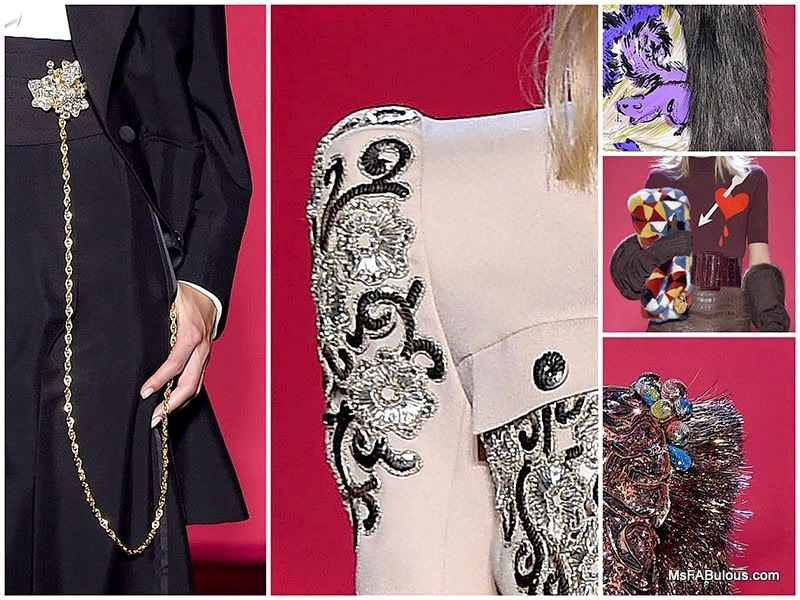 Elsa Schiaparelli’s love nature motifs were seen all over this group. There were ivy and leaves in the jewelry. Hand painted prints included beautiful, but tongue-in-cheek urban animals like pigeons, squirrels and rats. Flourished embroideries and dimensional embellishments are trademarks of the brand, but very contemporary in this collection. The built up shoulder was a classic Schiaparelli shape, being used to elongate and give a Hollywood femme fatale look to many of the sleek, full length silhouettes on this runway. Fur was used in oversized handbag clutches. Glycerine treated feathers were worked together for a bolero that emulated monkey fur. Hats took the form of vintage shapes like feathered caps and turbans. There were gravity-defying sculptures and even a luxe birthday party hat. 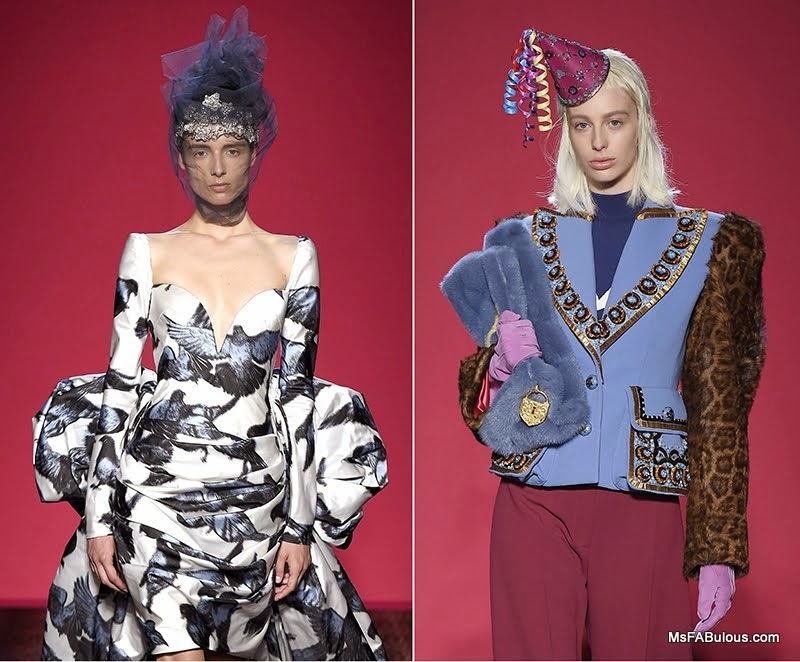 I love seeing the spirit of Elsa Schiaparelli back in today’s fashion scene. Is it a little wicked of me to wish that Marco Zanini would prank Karl Lagerfeld to restart the Chanel/Schiaparelli rivalry?